Click below for Live Meet Results from the 2017 North Carolina Swimming Senior Championship Meet. Remember that while you are allowed to update entry times for your swimmers until the entry deadline, OME will NOT do this automatically. If swimmers improve their times after you have entered them, you need to log back into OME and select the faster times for them. Also, please remember to use the Entry Fee Summary and Waiver sheet in each meet announcement to calculate what you owe to the hosts. The entry fees calculated in OME are not correct if you have any relay only swimmers on your roster. If you have any entry questions, please don’t hesitate to call or email. Times from the regional and state NCHSAA meets will be loaded upon completion of the final state championship meet (3A) which finishes on Saturday, February 11th. Times from the 1A, 2A and 3A NCISAA meets will be loaded when the files are received. Swimmers with ID numbers or birthdates will have times visible immediately upon upload. All remaining times from all these meets will be processed through manual matching and will take some time to complete. The Home School Championship Meet will be uploaded as soon as results are received. PDFS of the meet results will be provided to the NC Swimming website. Once all times are in the system, HY3 files and SDIF files of results for USA Swimming members matched from all these meets will be sent to club coaches. 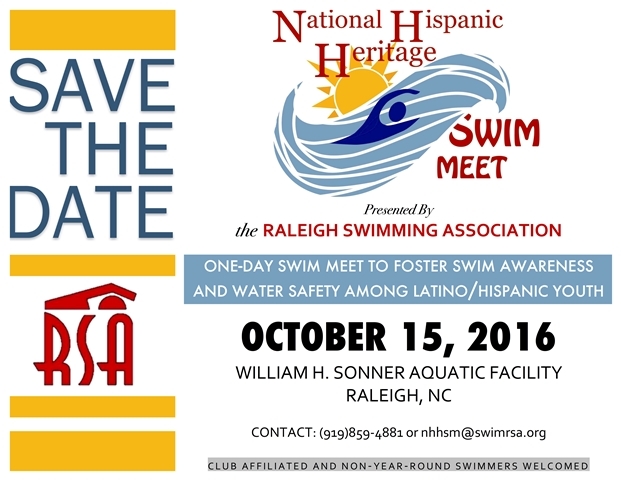 Times for all these swimmers will be NC UN and coaches will have to match by ID number to the club’s TM or TU database. When all is complete, if there are still missing times, please contact Suzanne Heath for further data entry. Relay lead offs will be uploaded along with individual swim times. No relay times are loaded unless specifically requested for a relay composed of four swimmers from the same team. Club coaches should contact Suzanne with this request. The NCISAA Championships have not yet requested observation (January 25, 2017). Congratulations to the following for being selected to the 2017 NC Open Water Zone Team. They will compete June 2 – June 4 in Seven Lakes, NC. A decision has been made to go ahead with the CanAm in Miami. Could any officials who are available for this meet please complete the application form below and return it to me.